sandwiches, dips and spreads, pastries and cakes, along with punch, tea and coffee. And a spectacular hydrangea arrangement graced the table. reduce the trauma experienced by child and adult victims of abuse and assault. introduced new Club members who were present at the Tea. 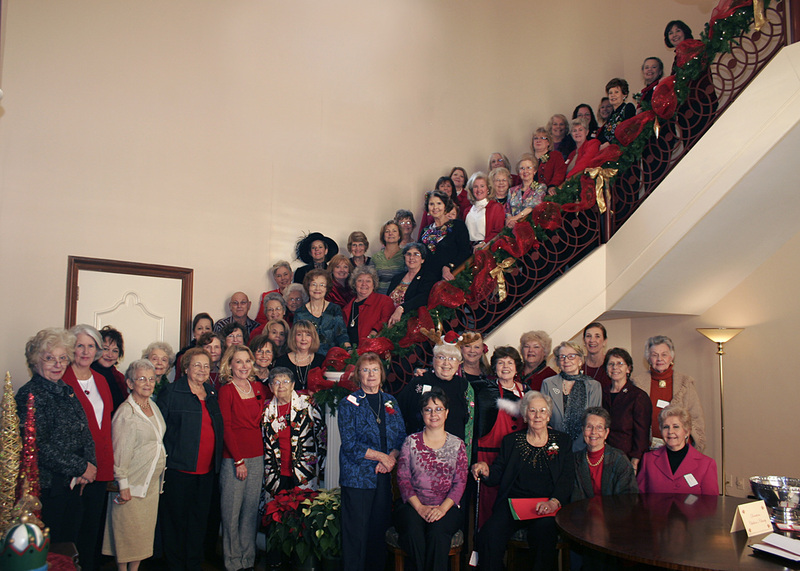 alents to their garden clubs over many years. Champagne. Ms. Champagne congratulated Marlene King and Madelyn Hoyt on their December birthdays. December 7, from 2:00 to 4:00 p.m.
Roxanna Champagne. The ladies also received Circle of Roses pins and Certificates. vice-president; and ex-officio Margaret Hargroder, Ph.D.
Cathy Andrew and Doug Trahan. organization that aids and houses neglected and abused children in Acadiana.